Here is my favorite Zero shot from Wings Over Houston airshow on Friday. Taken from along Hwy 3 near the end of the runway. I like the straight-on perspective, the tilted wings and that you can see the pilot. It was a cloudy day but it works for this shot. This is the only authentic Zero at the show. The rest are mock-up’s from the movie Tora Tora Tora. The 500mm lens makes a great airshow lens when you aren’t too close to the action. This entry was posted on October 31, 2012 by Tim Timmis. It was filed under Airshow and was tagged with Airshow, Canon 500mm F4 IS II, Canon 7D, Japanese Zero, Wings Over Houston. 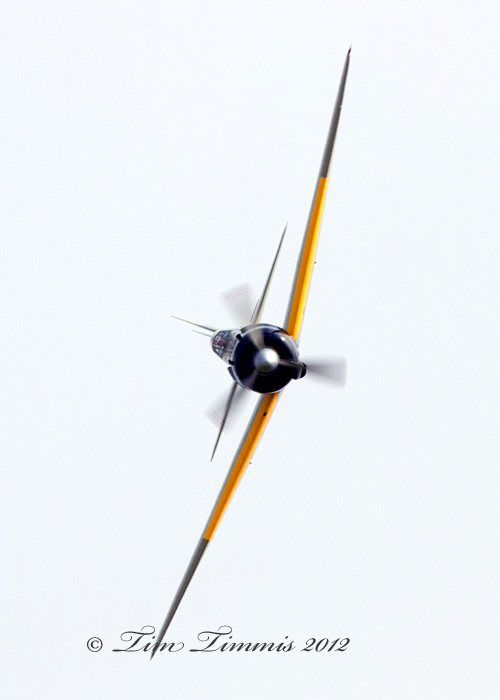 Sweet shot of the Zero right at you. Thanks David. Got most of my keepers on Friday for some reason.